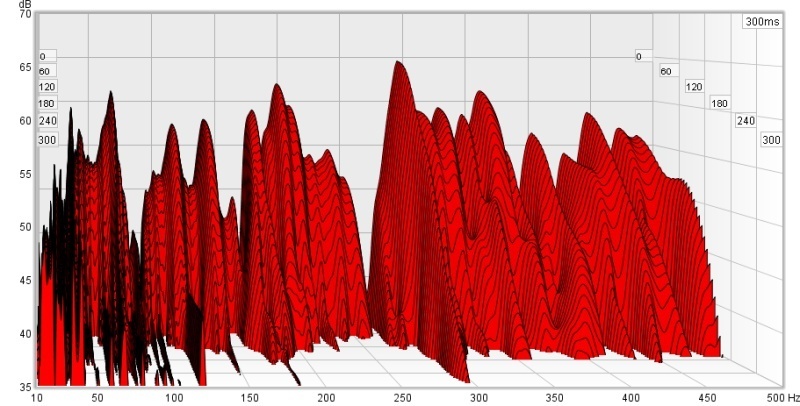 Sound diffuser scattering simulation. Diffusers reduce echoes and reflections by scattering sound waves in many directions. Sound diffusers (or diffusors) are an acoustic treatment that many people overlook. Why? Diffusers are mysterious, misunderstood and not everyone can justify their cost. Luckily, if you don’t wish to purchase diffusers there is an alternative: you can build them! Enter, the DIY sound diffuser. 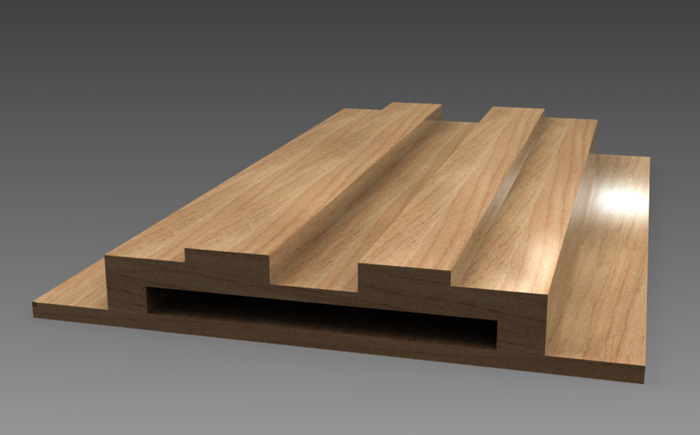 While there are many different DIY diffusers, I believe our optimized “stepped diffusers” are the easiest to build. If you can use a hammer, you can make them… and if you know a thing or two about woodworking, feel free to make the more sophisticated designs I’ve provided. Click here to download the free blueprints, or read on to learn more. If you want to see how I designed these (using optimization), check out the free diffuser design thesis. Sound diffusers arranged for peak performance (see the free DIY plans). Built by John White at WhiteConstructionDesign.com. Stepped Diffuser Designs in Chapters 7.3 and 8 of “The Lean Optimization of Acoustic Diffusers” by Tim Perry are licensed under a Creative Commons Attribution-NonCommercial-ShareAlike 3.0 Unported License. Consult RPG Diffusor Systems Inc. for additional restrictions on fractal diffusers. Background research draws from the works of Trevor Cox, University of Salford; Peter D’Antonio, RPG Diffusor Systems Inc.
Here’s everything you need to start building diffusers. I’ll be updating this page periodically, so check back often! Acoustic diffuser designs. Modular, optimized stepped diffuser (top). Fractal diffuser (bottom). Scattering simulations (right). 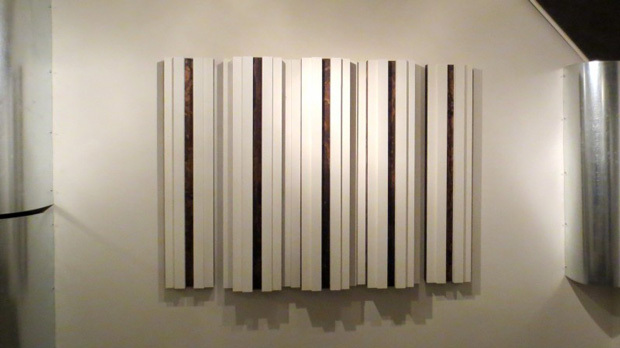 A sound diffuser is an acoustic panel used to treat echoes and reflections. Unlike absorption, diffusers preserve the liveliness of your room because they don’t absorb much sound energy. Instead, they disperse it, spreading the energy around the room. An ideal acoustic diffuser is a surface that causes an incident sound wave from any direction to be evenly scattered in all directions. To design these diffusers, I used a system that combines evolutionary optimization (simulated natural selection) with physical modeling. If you’re interested in the nerdy details, check out Chapters 6-7 of the diffuser design thesis. The Stepfractal™ (called B2-Frac in the thesis), which offers better high frequency diffusion but is less DIY friendly. This was designed by optimizing diffuser modules in an aperiodic array (explained in Chapter 7 of the thesis). Next, the optimized module’s shape was used to generate fractal geometries. Fractals are an elegant way to extend the bandwidth of the diffuser, improving its ability to scatter sound at higher frequencies. The Leanfractal™ (called A1-Frac in the thesis), a fractal version of the Leanfuser™. This diffuser offers the low profile, modular benefits of its little brother, with an extended diffusion bandwidth for better high frequency performance. This is my best diffuser design. 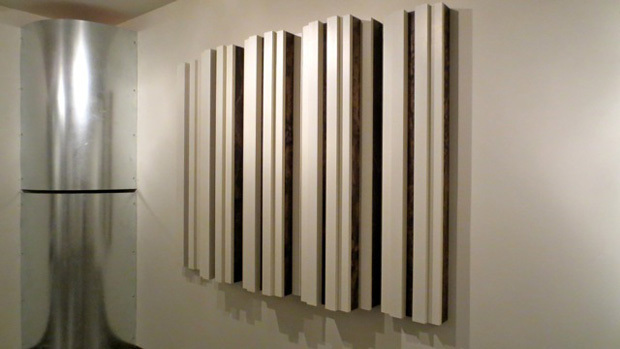 The Leanfractal™ is a modular, fractal acoustic diffuser (single panel shown). The RPG Diffractal® (a nested broadband QRD diffuser) inspired me to optimize simple diffuser panels that can be easily fractalized. 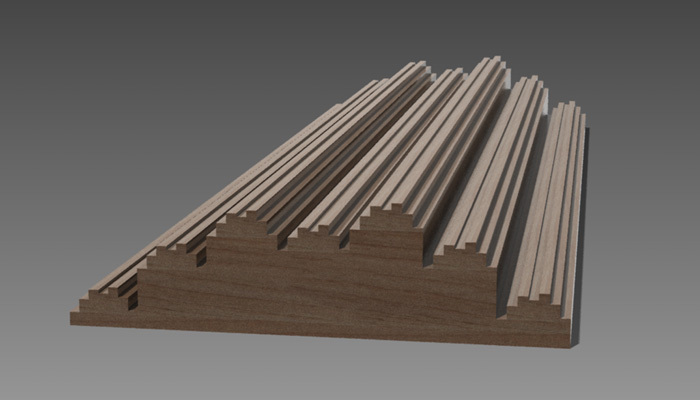 To protect the open source status of these acoustic diffuser designs, I’ve licensed them under Creative Commons. The diffusers are free for you to build and use, but please don’t manufacture them with the intent of selling them. DIY sound diffusers. Modular, optimized stepped diffuser (left). Modular fractal diffuser (right). These sound diffusers have been optimized to balance performance with simplicity, so you can easily build them using basic tools. 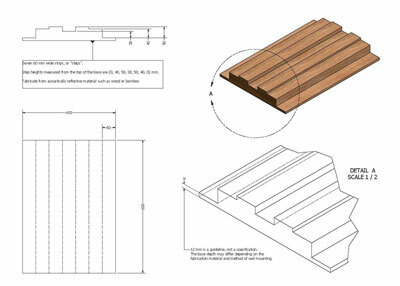 Diffuser panel fabrication drawing (5 modules side-by-side make a full diffuser). DIY sound diffuser panel assembly (showing fabrication cuts for a full height module). 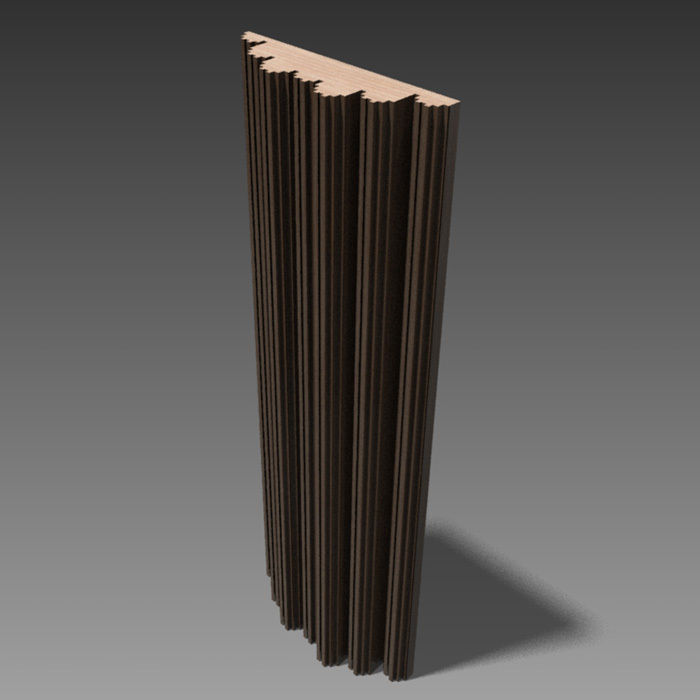 Optimized stepped diffuser panel (showing fabrication cuts). Coming Soon: More Videos of Sound Diffusion in Action! Studio and venue owners, home recording hobbyists, hi-fi enthusiasts, audiophiles and many others all over the world have built these diffusers. Here are photos of some example builds. 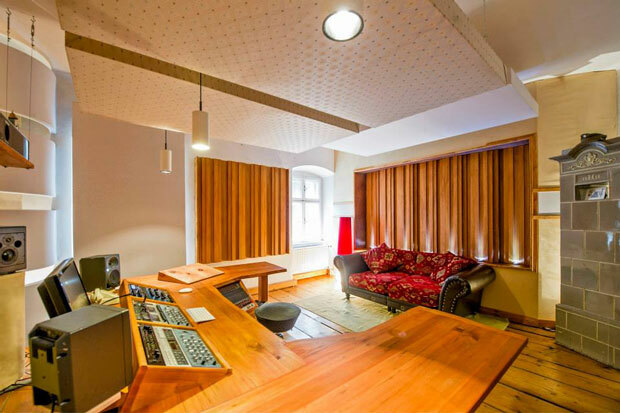 Leanfuser panels on the walls of Audiobomber’s Castle Mastering (Alexander Jöchtl’s mastering studio at Castle Wildberg in Upper Austria). Photos by Karin Lohberger Photography. Fractal sound diffusers DIY build: 5 Leanfractal (A1-Frac) sound diffuser panels assembled using Profiled Modulation 1. Note that couch is not used for critical listening (the diffusers are not designed for such close proximity). Built by Pablo Crespo. Fractal sound diffuser. Created by fractalizing an optimized stepped diffuser. 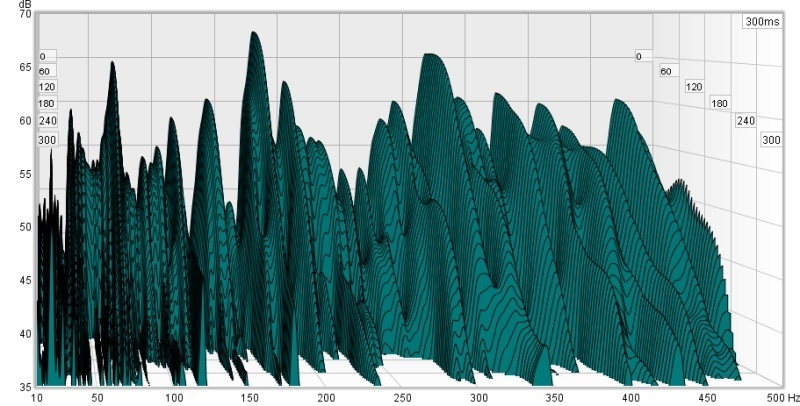 Near field scattering simulation for fractal acoustic diffuser B2-Frac. 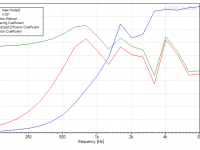 Diffusion Coefficients: How Well do the Diffusers Perform? 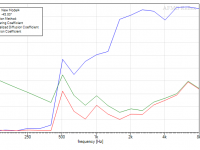 The autocorrelation diffusion coefficient is used to measure diffuser performance. 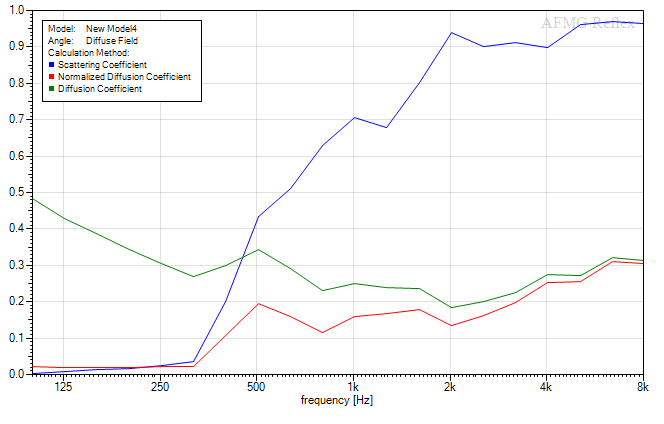 In the images below (produced using AFMG Reflex Software), the diffusion coefficient has been averaged in one-third octave bands and plotted as a function of frequency. High values of the diffusion coefficient indicate that a surface scatters sound uniformly to all receivers. Low values tell us that a surface is concentrating reflected energy in one direction. The higher the coefficient at a particular frequency, the more effectively sound is diffused at that frequency. 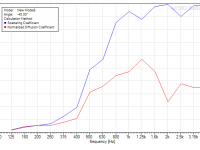 RPG Diffusor Systems® is currently developing more advanced acoustical coefficient standards. Detailed reports showing plots of the sound diffusion coefficient spectra for these diffusers — and other optimized diffusers — are available here. If you plan to use an array of diffuser panels, the diffusion coefficient graphs for a single panel don’t mean much. But for curiously, lets start by looking at a single panel. The measurements below assume the diffuser is flanked by broadband absorption on either side. The diffusion coefficients would be reduced if we placed a hard wall on either side of the diffuser. Boundary element model (BEM) simulation of stepped diffuser A1-LF (single module). Now, let’s put 5 diffuser panels in a periodic array. As you can see below, the diffusion coefficients are reduced. This is expected because periodicity causes acoustical lobing, which results in uneven scattering (explained in the diffuser design paper). Luckily, there is a much better way to arrange Leanfuser™ panels, which I’ll show you next. You’ll see how to use modulations to get rid of the periodicity and dramatically improve the diffusion performance. 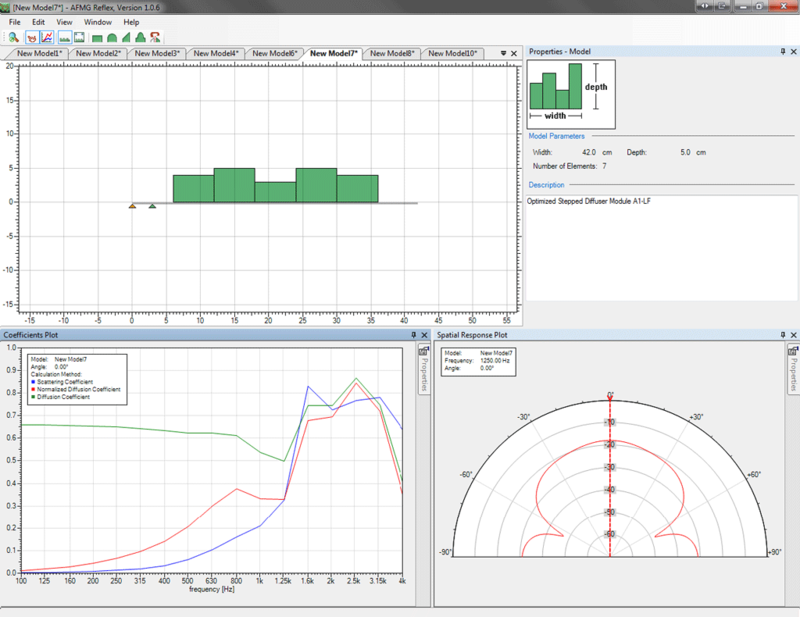 Boundary element model (BEM) simulation of 5 stepped diffuser panels, arranged in a periodic array. We can do better :-). Because the Leanfuser™ panel is symmetrical, 5 panels placed side-by-side form a periodic array. A great way to improve the diffusion performance is to reduce this periodicity by mounting the panels at different depths. I call this a profiled modulation. The image below shows an example, where 5 Leanfuser™ panels have been mounted at specific depths (see the blueprints to learn how to apply this modulation). Sound diffusion coefficient plots for stepped diffuser A1-LF with a profiled modulation (5 panels mounted at specific depths). 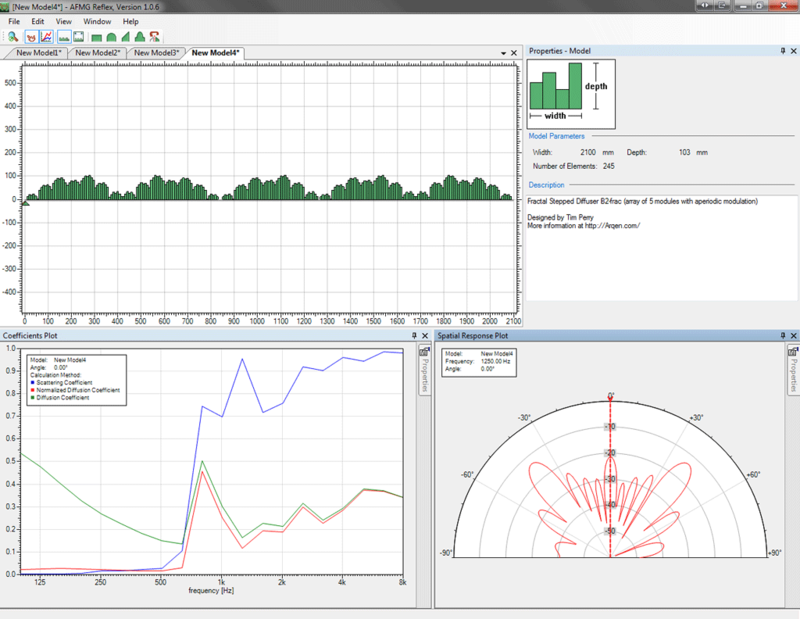 This gives a big performance boost, as you can see from the diffusion coefficient plots. You can also mount 7 panels using a profiled modulation based on fractal self-symmetry. The image below shows an example of this, where 7 panels of the Leanfuser™ are mounted at different depths to create a shallow profiled modulation. You can call this a fractal modulation, because the profiled modulation is derived from the depth sequence of the Leanfuser™. And, if you applied this modulation to the fractal diffuser A1-frac (the Leanfractal™), you’d have a 3rd order nested fractal! Stepped diffuser A1-LF (Leanfuser) with a profiled modulation based on fractal self-symmetry (array of 7 panels mounted at specific heights). 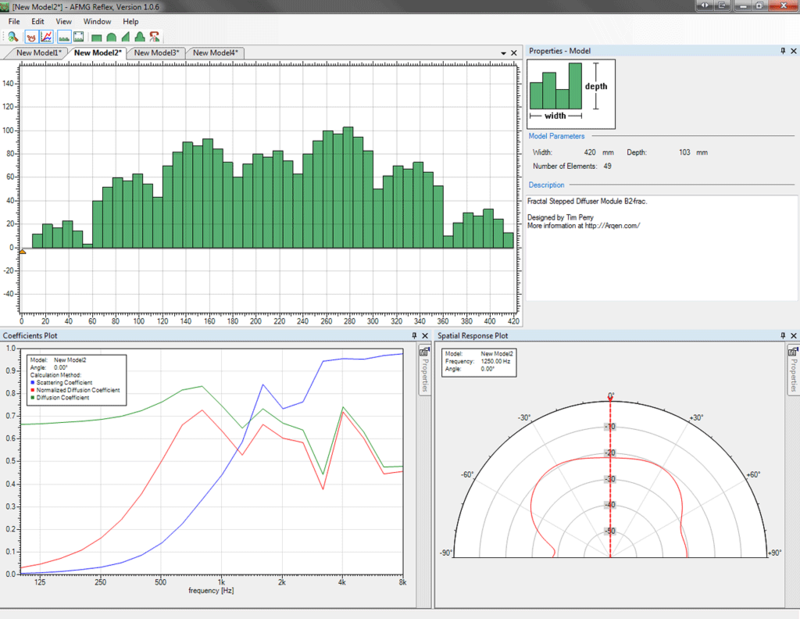 Sound diffusion coefficient data obtained from a boundary element model (BEM) simulation. If you wanted to build a deeper diffuser, you could take the fractal self-symmetry concept even further. For example, you could create a low frequency fractal stage with the proportions equal to the stepped diffuser proportions (I.e., keeping the width:depth ratio consistent). For the Leanfuser™, the width:depth ratio = 42 cm / 5 cm = 8.4. 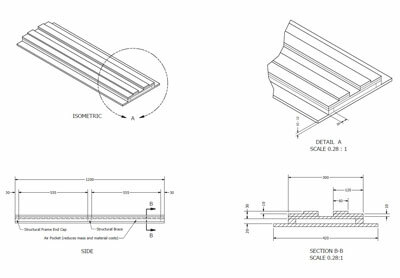 Considering an array of 7 acoustic diffuser panels (294 cm wide), the deepest step of the profiled modulation would be 294 cm / 8.4 = 35 cm. Since the deepest step of this stepped diffuser is 5 cm, you would scale all the depths by 35 cm / 5 cm = 7. This would give you a profiled modulation of 7x[stepped diffuser depths]. The resulting diffuser would have an operational depth of 40 cm, which is a much deeper design than the one we started with! Want to See How to Build these Sound Diffusers? Simulation of fractal diffuser B2-Frac (single module). Assumes the diffuser is flanked by absorption (not reflective walls). Boundary element model (BEM) simulation for fractal diffuser B2-Frac (array of 5 modules). In addition to diffusion, all diffusers will exhibit a small amount of absorption (measured using the sound absorption coefficient). In general, the rougher the surface, the more absorptive, so fractal diffusers tend to be more absorptive than their non-fractal siblings. 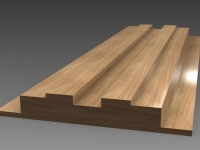 Some absorption is inevitable, but to minimize it, varnish the surface of your acoustic diffuser panels to make the material as reflective as possible. This applies to stepped diffusers, QRD diffusers, primitive root diffusers (PRD) like the RPG Skyline®, and all diffusers that consist of a hard, uneven shaped surface. Most of these fall into the category of reflection phase grating diffusers, or Shroeder diffusers. But absorption is not always a bad thing. Some acoustic surfaces, like MLS diffusers, incorporate absorption by design. Without it, they won’t function! These hybrid diffuser / absorber surfaces are sometimes called diffsorbers. 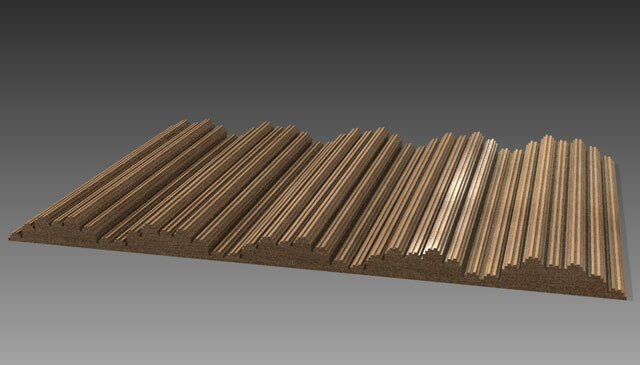 An example is the Wavewood panel by Vicoustic, which is a modified MLS diffuser. Some diffsorbers look like regular sound absorbing panels, covered with acoustically transparent fabric. But, if you were to remove the acoustic fabric finish from one, you would see it’s designed to function as a combination absorber / diffuser (absorptive at lower frequencies, diffusive at higher frequencies). An example is the thin, flat, BAD Panel by RPG (a 2D binary amplitude diffuser, or binary amplitude diffsorber). If you overlay the diffusion and absorption coefficient charts for the BAD Panel you will see a combination of diffusion and absorption between 1-2 kHz, and pure absorption below 1 kHz. You can learn more about hybrid surfaces and other types of acoustic diffusers in this free report. Check out the thesis to learn more about these diffusers and see how they were designed. Or, learn more about the practical applications of acoustic diffusers in the recording studio design papers. Many of you have told me you’d rather not build diffusers yourself and you simply want to buy them. Thanks for the interest, but right you can’t buy any diffusers I’ve designed! If you want them, you have to build them (or hire a carpenter to build them for you). But if you really don’t want to build sound diffusers, and instead you want to buy them through me, check out the diffusers section of our acoustic treatment store. There you can learn about some of the acoustic treatments on the market by RPG Diffusor Systems and Vicoustic. For example, if you love the look of the RPG Skyline diffuser and you want a nice wood alternative, check out the Vicoustic Multifuser. 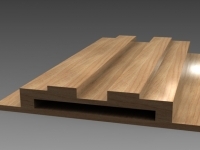 You won’t find any cheap, ugly plastic diffusers on this site, but you will find some slick acoustic diffusers made from wood and bamboo. Still looking to do your own build? Great! Download the free blueprints and I’ll send you all the information you need to get started. For answers to the most common DIY diffuser build questions, check out the FAQ and take a look at the build gallery. What’s the most likely material you’d use for building them? What tools are available to you? Do you have access to woodworking equipment? CNC? Depending where you live, I think bamboo lumber would be great construction material for DIY diffusers (and other acoustic panels). It’s a greener and cheaper alternative to hardwood, with a unique, exotic look. If bamboo does not grow near you, why not build these out of reclaimed lumber? Perk: If you build any of my DIY diffuser designs with reclaimed wood, bamboo lumber or another eco-friendly material, please let me know! If they look good I’ll post photos of your diffusers, and (with your permission) I’ll link to your website. Hey! this is such a nice guide! Thank you for writing this! Felix, I’m glad you enjoyed it! Thanks for reading and please let me know if you have any questions :). brilliant site and resource – this is going to change my world haha. Thanks for sharing your knowledge and I will post some images and my experiences once we’ve had a chance to digest this and make some of these diffusers. Kind regards! My pleasure. I’m glad you find this useful. Good luck with the build and I look forward to seeing your photos! To understand the difference it’s helpful to understand what ideal diffusion is. Ideal diffusion means acoustic energy is spread out evenly in both space (called spatial dispersion) and time (called temporal dispersion). A simple curved half-cylinder is brilliant for redirecting sound energy by scattering it in space, but it does not directly disperse sound with respect to time. These stepped diffusers, on the other hand, disperse sound in both space and time directly. Both types of diffusers are great but I consider optimized stepped diffusers to be a more precise tool. If you need to return diffuse sound directly to the listener, stepped diffusers are probably the more appropriate choice. However, if you simply want to scatter sound in your room to create a more diffuse reverberant sound field, you can get away with simpler geometries such as polycylinders. Tim, i have a 3×3,5m mix room, and my backwall (3m) has 2,5m (or less) of distance to my sweet spot. Im thinking about to build a Profiled Mod1 5 A1-LF or A1 Frac (i cant find the a1-frac blueprint yet). I think it’s the better option, right? Thanks for this great site!! Let me try to explain it more clearly. To start, Profiled Modulation 1 uses 5 modules (diffuser panels). On page 7 of the fabrication drawings for A1LF (in the download vault) I give you the sequence of depths for mounting these 5 modules: [0 cm, 5 cm, 6 cm, 5 cm, 0 cm]. This means you mount the center module (or 3rd module) so it sticks out 6 cm from the wall. You mount modules 2 and 4 so they stick out 5 cm from the wall. And you mount modules 1 and 5 so they sit directly on the wall. I have not produced detailed blueprints for A1-Frac, and there are two main reasons for that. First, the depth of the fractal cells is not set in stone. I want to encourage people to experiment with it right now instead of locking them into a single blueprint. People are more creative and bold that way. Second, I’ve been notified that some scalawags are attempting to patent my open source diffuser designs under their own name, with the intention of gaining exclusive commercial rights to them (essentially, trying to steal the rights from me and the public). A1-Frac is my favorite design so I’m taking extra precautions to protect it right now from patent fraud. I hope you understand. I hope this answers your questions! Let me know if you still don’t understand the profiled modulation, or if you’re curious about anything else. Sorry Tim, but reading everything about the fractal cells, I keep dont understanding exactaly their dimensions (depths) to work with the milling machine, following the 10mm proportion. I am interested on building the A1 Frac for my back Wall.I have read the thread DIY Sound Diffusers—Free Blueprints—Slim, Optimized DIY Diffuser Designs (+Fractals) but cant find info on how to hang the diffuser to a Wall or sloped roof.¿Where do u put the screws? For example, on your webpage there is a picture of a diffuser built by Pablo Crespo where he used the profiled modulation 1 for 5 modules. How are they mounted on the Wall? (specially the middles modules which are deeper), i need to put them in a slopped roof, so they need to be screwed. And thanks for the blueprints and all the info! 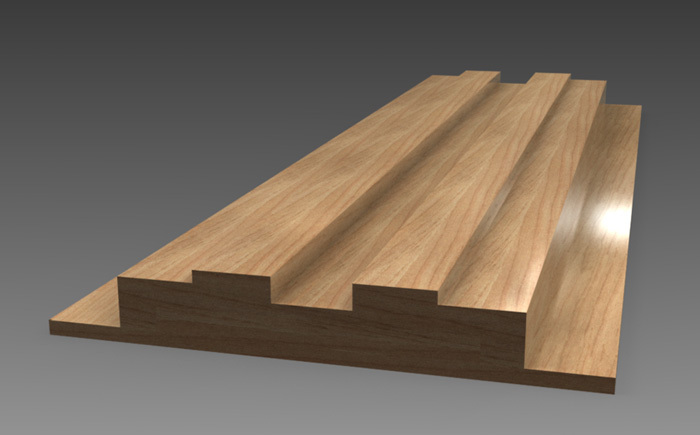 · pppp represents a piece of wood, plywood or mdf cut to the shape of the profiled modulation. · You can ignore the “…..” horizontal parts in the drawing. That simply represents white space so just pretend those parts are invisible. The frame would need vertical braces at the wall surface, aligned with the wall studs. These braces would be used as anchor points to mount the frame to the wall (in the frame, these braces would also hold the bottom of the pppp cuts together). The frame would also need a separate set of vertical braces at the surface where you will mount the diffuser panels (these braces would be connected to the top of the pppp cuts). 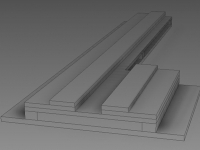 Here is a rough top view of the concept, where only the braces on the surface of the structure (top braces) are shown. As mentioned, there would be a separate set of braces at the base of the structure for attaching it to the wall studs. It may also be necessary to add some cross bracing for structural integrity. 1) Holding the frame together. 2) Providing structural support for the mass of diffuser panels which will be mounted on the frame. 3) Providing anchor points to attach the frame to the wall. 4) Providing anchor points to attach the diffuser panels to the frame. I would attach the frame to the wall, then attach the diffuser panels to the frame. This is not easy to describe in a comment :-). Does it make sense to you? Some time in the future I plan to draft this up. In the meantime, I hope this helps. I am intending to make my own diffusers for my room but I don’t know how I work out what sort of design I need. 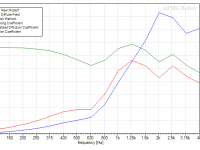 How do I work out which frequencies need diffusing? How large is your room and how far away from the diffusers will you be sitting? 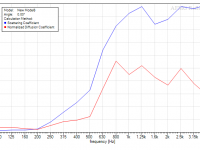 If you are close to the diffusers you should not try to diffuse low frequencies because there is simply not enough space to properly diffuse them. As for high frequency cutoff, generally the higher the better (within the audio band). For example, a good mid frequency diffuser would focus on the range 400 Hz to 5000 Hz, which is where human hearing is most sensitive. 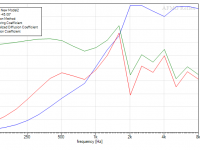 But in practice, the performance of most diffusers starts falling before 5000 Hz. 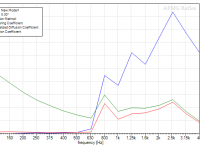 You will most likely focus on the range 400 – 5000 Hz, but use the formula I gave above to determine your low frequency cutoff. 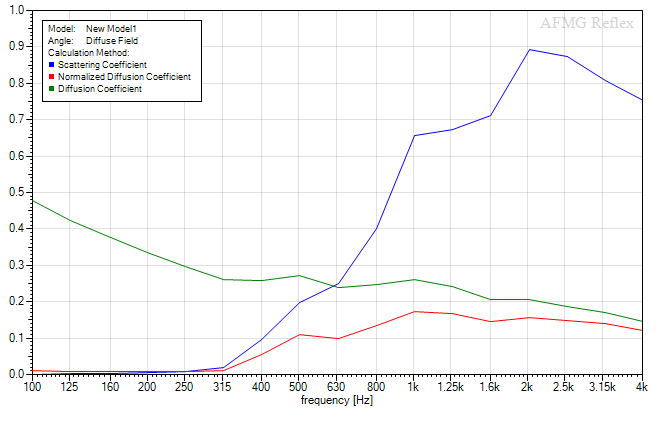 If you’re sitting very close to the diffusers, it’s best to absorb low-mid frequencies and use diffusers that focus on high frequencies (for example, the RPG Flutterfree starts kicking in between 1-2 kHz, and provides high frequency diffusion all the way up to ~20 kHz). Finally, for the ultimate in broadband diffusion, fractal diffusers that diffuse over the full audio band are popular in high fidelity listening environments where some liveliness is desired (such as RFZ style control rooms). They let you control reflections throughout the audible spectrum without sucking precious high frequency energy out of your room. Best reply EVER. Thanks man! I shall copy/paste to my notes so I don’t lose it! Glad I could help, Jez. I wish you the best with your build! I enjoy hi-fi but have not done much by way of treating my lounge except to have curtains behind the speakers. How would the sound change if I did a complete wall behind the listening position with one of your diffusers? How far is your listening position from the rear wall? 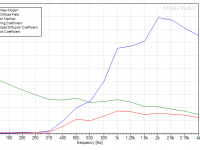 That will impact how the diffusers effect your sound. Unfortunately I have a small room – 14.8′ x 11.4′ x 9′ and have been using the 1/3s rule so listening position is 5′ from rear wall. I believe that diffusers ‘absorb’ the sound energy but was not sure whether you could actually hear the diffused sound. Does it sound like being in a hall or similar? They absorb a bit of sound but the primary function of a diffuser is to scatter the sound evenly in your room. Instead of absorbing all reflections, which can render your room dead, this way you can control reflections while retaining some natural liveliness in your room. It’s hard to put how diffusion sounds into words, but “airy” and “spacious” are how many people describe it. There is also a musical quality to it that’s hard to describe. Your room won’t sound like a hall, but it should sound more open behind you. Like your rear wall is further away. Widespread diffusion can actually make a room sound bigger than it is. It will also reduce comb filtering from your rear wall, which you may notice as an increase in clarity. I am not sure the wife will be happy with very deep diffusers, do you think an array of the 5cm deep diffusers will be effective? If that’s too deep for you I recommend thick broadband absorption underneath shallow high frequency diffusers (like the RPG Flutterfree or a custom designed QRD / PRD diffuser using one of the free calculators online). Or, just thick broadband absorption without diffusers. Perhaps the ideal low profile option for your room is hybrid surfaces like RPG BAD panels, which provide a combination of absorption and high frequency diffusion. I like your diffuser designs and so will work towards a 5 panel profiled diffuser. You say that the Leanfractal (A1-frac) is your best design, do you have a fabrication drawing for that diffuser (I searched but couldn’t find anywhere). I’ve not made fabrication drawings for the Leanfractal but you should get an email from me with information on how to build it. Let me know if you didn’t receive it. Thanks for letting me know. I’ve reactivated the DIY diffuser email sequence for you, starting on the Leanfractal email. If you get repeat emails let me know and I can pause it for you. First, I’d like to thank you for making all of this information available to the general public. You’re a hero for that. Now here comes the question that might cause both of us to scratch our heads a bit. What if I were to take different diameter pieces of PVC pipe and rip them in half lengthwise, then build a diffuser from them? I.e. instead of squared steps, each step would be a semicircle. Each step would also, as a result, have a different width and depth. Off the top of your head, without Reflex, do you think that would work for both time and space diffusion? That’s a neat idea. Surfaces made from larger poly-cylindrical diffusers (of variable size) are a good option for large rooms. One issue with using smaller semi-cylinders is the diffusion bandwidth. If you want to scatter mid frequencies, not just high frequencies, you will need large diameter pipe to make the diffuser deep enough. E.g., for a 7″ deep diffuser you could build a quazi-random surface by blending cuts of 14″, 12″, 10″, 8″, 6″, 5″ and 4″ pipe. Quazi-random surfaces tend to diffuse well if they are large. E.g., a 50 foot wide random surface may diffuse as well as a 50 foot wide diffuser. But a 2 foot wide optimized diffuser will generally perform much better than a 2 foot wide random surface. I don’t expect this type of diffuser built from semi-cylinders to diffuse as well as a phase grating diffuser (like a stepped / PRD / QRD diffuser) of equal depth. One reason is because with a phase grating diffuser you can have a deep surface with narrow wells / steps, but with poly-cylindrical diffusers a narrower poly means a shallower depth. You could of course add semi-cylinders to the top of a stepped diffuser, in the same way that the Leanfractal is made my mounting fractal cells to each step of the Leanfuser. Fantastic stuff! Not sure I have my head around all this at the moment but you very eloquently explained everything. Your diffuser designs look brilliant. I have a room I wanted to treat. My question is, in a 8ft by 11ft room, would any of these diffusers make significant difference to the energy of sound in the room? Glad you like the designs. To noticeably change the liveliness / reverberation characteristic you generally need to change about 20% of the room’s surfaces from reflective to absorptive, or vice versa. Diffusers are not designed for use at close distance so in a small room like yours I don’t usually recommend them. But it depends on many factors. It depends on what the room is used for, what is currently on the walls and what problems are being faced. In a very dead room, adding 20% reflective or diffusive surfaces can bring it to life. In a larger room with modal problems, covering 20% of the surface area with diffusers can help make the room sound more neutral. If you’re simply looking to reduce the energy in a small room, use broadband absorption, with bass trapping and first reflection points being the highest priority. If diffusers are used at all in a small room, they should be the final element of room treatment. thanks Tim – i am in similar situation and this helped. Great reply. Small room with no absorption here. 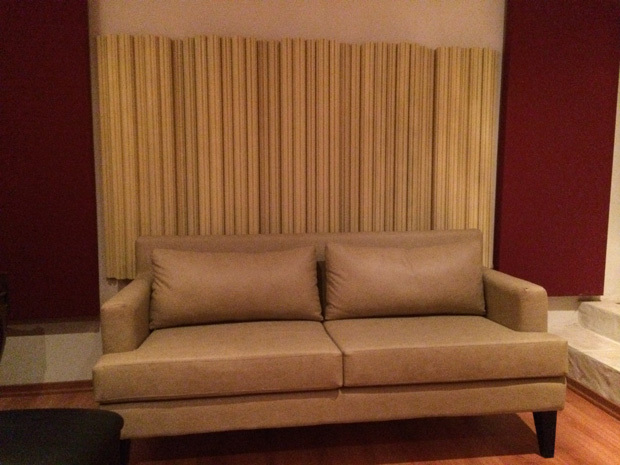 Put up acoustic sound panels at each reflection point to control the sound. So now it sounds like once I have that perfected, I think try to liven up the room with Diffusion strategically placed. Thanks so much for this knowledge, Ive just signed up and am going to build some diffusors this weekend. A question about my room though, its a large 23 feet x 14 feet room. whats your recommendations for diffusion and absorption for a room this big? The fourth page has acoustic treatment setup advice for this type of room. There are many factors that determine how you should treat a room, and size is just one of them. A question: if I use a 50mm wide panel instead of the design 60mm panels, do the step measurements stay the same (0,40, 50,30, 50, 40, 0mm) and the offsets for each completed panel (o, 80, 100, 60, 100, 80, 0mm) and will this also stay the same for a 5 or 3 panel arrangement (ie 50 x 5 = 350mm and 350 x 5, or 350 x 3)? 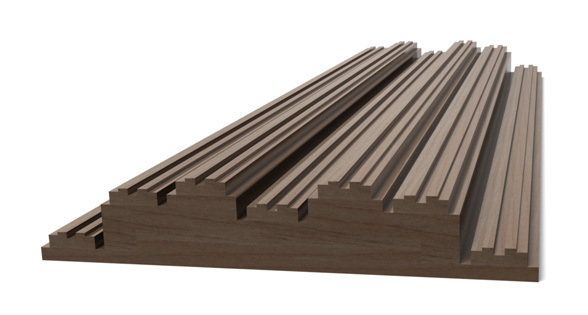 I’m going to try cutting the 350mm profile (if okay) out of sheets of styrene foam (75mm thick house siding foam) and want to line/face the flats with 50mm wide slats from venetian blinds – can’t find any 60mm wide ones. Changing the proportions alters the fundamental geometry, so I can only give an educated guess without seeing test results. If you send me the results I’ll tell you what one is best. I need to solve the problem of the wall behind the listening position being too hard and too close to the listener’s ears. This affects the stereophonic illusion very badly. I’m thinking maybe a diffuser might at least make the reflected sound affect the stereophonic illusion a little less. Distance from ears to wall is about a foot (30cm or so), and can possibly be pushed to 40cm. The wall is hard paper glued to a heavy concrete/grout wall. I’d prefer if the diffuser could be kept to less than 30 cm above the ears. Is it at all possible to do this using a diffuser, and what version would be the minimum-complexity choice with some chance of providing a positive change?? I wouldn’t use a diffuser that close to your ears on the rear wall. They’re not designed to be used that close and while a diffuser may help, it’s not the right tool for the job. Behind your head I suggest broadband absorption / broadband bass traps . If you really want to use diffusion you could use RPG BAD panels, which are hybrid absorber-diffusers. But, these would be put to better use elsewhere (like ceiling or sidewall reflection points), giving the scattered sound more space to disperse before it reaches your ears. My listening room is designed strictly as Dead End Sound Stage/Live End Listening Area, so a diffusor SHOULD be the proper tool, albeit preferably some form that also delays the reflected wave. Maybe using a slitted design with long internal paths. Barring that, the more energy that gets directed off to the sides, the better it should work. I THINK I know that the problem is the first reflection off the rear wall; using “elephant ears” behind my ears sharpens the stereo illusion, but makes the room sound a bit tinny. 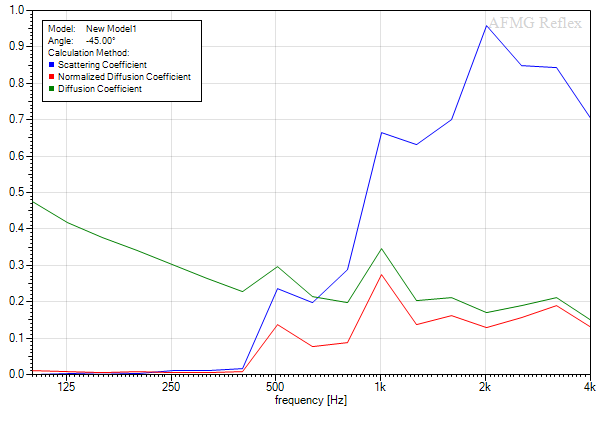 Hans, see the notes on the minimum recommended listening distance for diffusers here: http://arqen.com/sound-diffusers/faq/#listening-distance. The top researchers in this field, Trevor Cox and Peter D’Antonio recommend 3 meters as the minimum listening distance for most diffusers. In practical application many people use them closer without issues, but the closer you are, the greater the risk of audible artifacts. To delay a wave long enough for a Live End / Dead End room with a sufficiently long initial signal delay gap (ISD-gap), you need several feet. 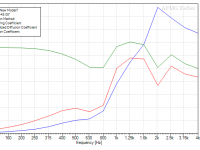 The European Broadcasting Union (EBU) recommends you treat reflections earlier than 15 ms relative to the direct sound so they’re at least 10 dB below the direct sound for all frequencies in the range 1 kHz to 8 kHz. Sound travels about 17 feet in 15 ms, so to meet this goal you need first reflections to travel at least 17 feet further than the direct sound. Otherwise, they should be treated to be at least 10 dB below the direct sound. If you don’t achieve this goal you can expect reflections to interfere with your sound stage and compromise imaging, per the Haas effect. A core goal of Live End / Dead End (or more generally, Reflection Free Zone) room design is to provide this travel distance to create a long enough ISD-gap. The conventional Live End / Dead End setup only works properly when there is space behind you to create the delay. Otherwise you need to get creative with reflection control. Since you don’t have enough space behind you, you need to work with other reflections to create your live end, or risk compromising your sound stage. Possible candidates are the rear ceiling, rear sidewall and the left and right portions of your rear wall. But directly behind your head, since it’s so close to the wall, I recommend absorption (or an efficient hybrid device like the RPG BAD panel). Another Q: I’ve put in requests for two emails of blueprints, but nothing has arrived yet, and this is a delay of about an hour. Is there a problem, or has something prevented the emails getting to me?? There should have been a conformation email sent to you, with a link that leads to the download vault. According to my system it was sent to you. Did you receive it? No, and I’ve tried from two different clients. Can you check what address they were sent to, and test send a Hi to the same address??? It says it worked yesterday with a new email address you tried. Did you get a followup email? I’ll email you a quick test email to both address you tried with. today I saw a studio having RPG in the front wall in middle of the speakers, isn’t a mistake? I always had the idea that should be absorbed in that area in order to get just clean sound from the speakers and noting else. It’s quite common to use diffusers on the front wall these days. In many cases the front wall does not need to be absorptive as most speakers are directional at higher frequencies. Live-End, Dead-End rooms call for an absorptive front wall, but that’s an old school of thought that has been replaced by the more general RFZ (reflection free zone) criteria. Diffusers on the front wall are not essential — but they make the room sound more spacious and enveloping, making it an inviting space for spontaneous musical activities like practicing or recording. Yes, and in a surround setup front wall diffusion diffusion may also be useful to diffuse first reflections from the rear surround speakers. 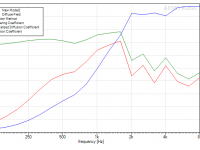 Another benefit of diffusion is it tends to help even out the frequency response and decay times in the room. Hey Tim, I saw your answer to someone else that had a small room. Hoping you could clarify it a but more. Do you think a 10x9x11 room would need diffusers? I am already getting 6 large bass traps and 2 large acoustic panels. Also a stupid question.. I want to add a couch for friends. Will that have a negative effect on the sound? Don’t want to spend if it isn’t necessary. Hi David, sorry I missed this message earlier. Whether or not you need diffusers depends on your goals for the room, and how much space you have behind you to create a delayed, diffuse energy return. In a small room like that, you’re better off using diffusers that only diffuse at higher frequencies, and focusing exclusively on absorption for everything below, say, 600 Hz (this number is just a ballpark based on the listening distance guidelines here: http://arqen.com/sound-diffusers/faq/#listening-distance). Your couch will add a bit of absorption to the room, but I doubt it will have a negative impact on your sound. Hi Krishna, sorry I missed this message earlier. With the wall that close to your ears I suggest thick broadband absorption / broadband bass traps behind you. First thanks for your site and all it’s info. Your 101 information was a helpful introduction as I was getting started with acoustics. I have a new 12x15x8 ft control room. I was considering putting Schroeder 1-D diffusors on my left and rear walls. I want to be able to record in the room with mic at 3 ft off the walls so I was arbitrarily limiting the design depth to put the design frequency at around 1126 KHz. The left wall was planned with 19 wells per period, 5 periods with a barker moduation (+++-+) – about 5×21 = 105 inches total with fins. 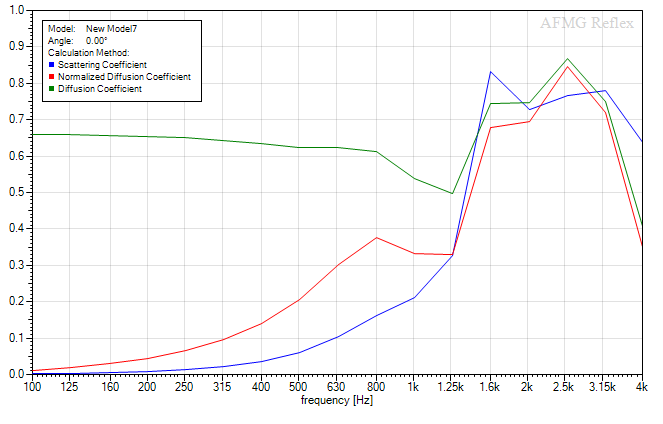 Is there a way to limit the LF limit on your B2-Frac design to about 1KHz. 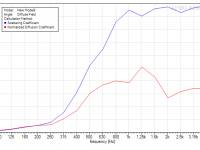 Some where you say the LF design point is about 400 Hz. I was thinking cutting the heights on the 7 steps (0,40,70,60,80,50,10) of the module by about a factor of 2.8 would achieve this? To get to about 100 inches, I think I might want 6 of your modules? Do you have a recommended modulation in this case? 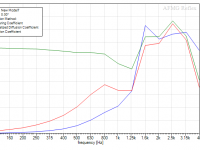 If I mount the modules at different depths, does this affect the lower frequency design point? Is there a way I could predict the performance of this design? In your thesis you show an Shroeder inverse panel as a 180 degree rotate of the normal panel. A proper inverse has the depths of the normal panel subtracted from the prime used to design it and is different than a rotated panel. Would something like this actually improve your design? For instance, the normal module has heights of 0 40 70 60 80 50 10 and the inverse might have 100 60 30 40 20 50 90? I understand that this would require two panel designs and might have other visual implications. Is there any way I could get a listing of the code your removed from your thesis? Hi Rick, 160 mm is simply a maximum depth I set to constrain the optimization and only optimize shallow diffusers. If I wanted to include possible designs up to 20 cm deep I would have instead chosen 200 mm. The initial design frequency of 614 Hz comes from equation (6.4) using dmax = 0.16 meters, N = 7, smax = 4. The LF limits and all initial conditions in my paper are not predictions, they are simply constraints I used to set up the optimization problem. I chose these constraints using Schroeder’s equations, but the resulting, optimized designs are not described by Schroeder’s equations. If you’re curious how to obtain a specific result, play around with AFMG Reflex, because it’s very hard to predict what will happen without simulating it. All the best with your build. If you build the fractal diffusers let me know how it goes, and I’d love to see photos. Thanks for your info. Your thesis inspired me to do some more digging. I have Cox and D’angello’s 2nd addition and their list of references from c. 2007 as well – not that I can get to them all without paying. I read Cox’s 1995 paper and if you haven’t seen it, this paper is interesting in that it used a parabolic well face to get a 2nd stage diffusion equivalent to a diffractal: BOUNDARY ELEMENT MODELLING OF FRACTAL AND OTHER ENHANCED BANDWIDTH SCHROEDER DIFFUSERS Andrew Lock and Damien Holloway ( https://www.acoustics.asn.au/conference_proceedings/AAS2015/papers/p81.pdf ). Right now, I’m trying to get some BEM enviornment up and running so I can try to run my own optimization (and I’m not sure I can drive through that in the free 30 day trial from AFGM). I’ve got a Anaconda Python environment installed with Matplotlib, Numpy, Scipy, and Cython. I tried to get BEMPP up but for some reason their Oracle VMBox appliance is not working on my Windows system. If you know of a package that would be handy for Anaconda environment, I’d be curious – there are some out there. BEMPP was using FEniCS and Dune Grid Manager for some of their internals. 1) Optimize a finless 1D diffuser with parabolic faces with a 1126 Hz design frequency. – You and Cox have done a finless flat face optimized design – yours with a 2 m listener. – Locke did a finned parabolic face design. 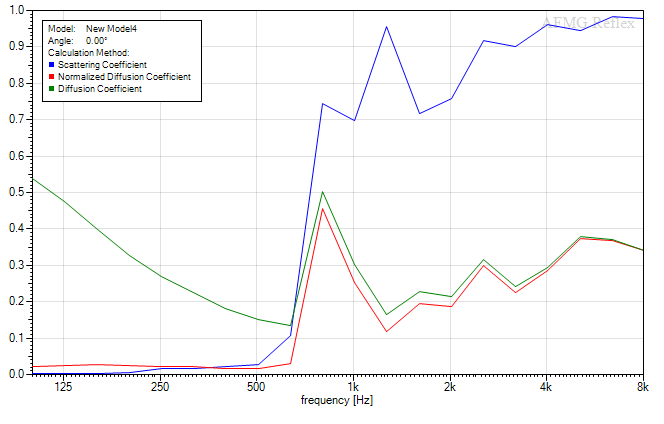 – Was thinking of using Cox 1995 diffusion constant to evaluate – except set the avg(diffusion) value to 0 below the cutoff frequency with a 1 m listener. The cuttoff in my case is 1126 to give a 1 m safe distance. Optimize from 100-20K Hz on my i7-4770K 3.5 Hz with 32 GB of RAM. 2) Figure out a true inverse for the optimized surface from (1) to use in a 5x panel sequence with a barker modulation. I was thinking to do this by looking at the Fourier transforms of a repeated surface profile. Crazy? Optimistic? We’ll see – at any a rate, considering I didn’t know very much about acoustics 6 months ago – I’m having a blast. BTW – have you had any experience using GreenFibre blown insulation as an absorption material – also on my list of things to try out – it’s much cheaper than mineral-wool? Sounds like a very cool project! Thanks for pointing me to that paper. I’ve not seen it before, but I’ve been long interested in seeing the high frequency performance of concave, convex and angled wells compared to fractal. I don’t know of any BEM packages for Anaconda. I’ve mostly worked in Octave and Matlab, but I think you’re smart to go with Python for this. Your goals don’t seem crazy to me, but I too tend to be very optimistic. Finding the true inverse sounds simple in theory, but inverting often turns out to be an intensive problem. This may not be the simplest way but the first thing that comes to mind is to set up a 5 panel barker sequence template with the optimized surface plugged into the +1 positions, then optimize the -1 positions to minimize periodicity in the Fourier transform. I don’t have experience with GreenFibre blown insulation, but for broadband absorption you want open-cell foam or fibrous material. I’ve not seen data on GreenFibre but I think it’s closed-cell foam, so I’d expect it to be less effective at mid and high frequency absorption. If you’re going to use it, ask for absorption coefficients and gas flow resistivity data, and compare that to mineral wool options like Roxul Safe’n’Sound and Roxul Rockboard 40 and 60. Let me know how your project goes. 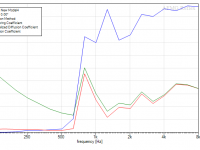 Diffuser optimization is an esoteric interest shared by few, but a fascinating one! Green Fiber is ground cellulose (mostly newspaper) – so an open pore fibre matrix. It behaves almost identically to rockwool relative to sound transmission when used in walls. They don’t publishes any absorption characteristics (not their primary application) but they do have STC numbers. Some folks on GearSluts have reported using it for base traps with good results – though nothing quantitative. I found one paper by someone (academic) that tested ground up cellulose (not exactly like green fiber, but…) and said it had very good absorption characteristics (comparable to rock wool) and provided coefficients for an acoustic impedance empirical prediction model (ala Mechel and Grundmann, I think). I can get Green Fiber from home depot for $10.49 per 19 lb “bale” – seems to be packed at about 8 lbs/cuf. I was going to try just putting a stack of bales in each corner without unpacking it (so I can return it if need be) and do some REW measurements to see what it does do my waterfall response. One guy on gear sluts did about the same and claimed he was amazed with results If that looks favorable, I’ll probably build some traps at about 3.5 lb/cuf (which is what they recommend for in wall applications). A 3.5 lb/cuf, this is roughly $1.93 per cuf vs about $7.37 per cuf for OC 703 4″ If you’re interested, I’ll let you know how this experiment works out. Thanks for the idea of doing the optimization of the 5 panels with 4 fixed. I’ve thought of doing that, but was worried it might be too computationally intensive. I might have to optimize at greater distance since my 5 panels are about 8 ft and getting a hemisphere at 1 m off the ends normal to surface is going to put me out to somewhere near 2 meters at center I think – but that’s probably OK for the full panel. If I get far enough to optimize one panel, I’ll definitely try doing the 5. I’m hoping this will result in good modulation at less depth than a fractalized version.. Thanks for the information on Green Fiber. After looking at photos it looks like it has potential and I’m definitely interested in how your experiment goes. My intuitive concern is the gass flow resistivity of a blown product like that when compared to loose fill fiber and batt insulation like Rockwool. Testing is of course the best way to know. I do have Boundary Element Methods for acoustics but decided to work in the time domain instead. I went a bit into finite element methods (FEM) while doing physical modelling and sound synthesis research (e.g., trying to model violin acoustics). The complexity of programming FEM was a headache, and I ended up using mostly finite difference time domain (FDTD) for the violin string dynamics. So with that experience, and the time constraints of my diffuser project, I was wary of investing time into BEM, and went with what I already had experience with: time domain methods like FDTD. Of course this was not computationally efficient, but it provided extra data and forced me to learn about parallel optimization methods like the genetic algorithm. That truly expanded my mind and now I’m always thinking about new problems outside of acoustics where genetic algorithms can be used. The idea that we can use the principles of natural selection and evolution to navigate through billions of possibilities, and efficiently solve global optimization problems — i.e., climb multiple mountains simultaneously in a landscape that we’re blind to and don’t know how to mathematically define — excites me to no end. Opps – I actually replied to my prior post – Adding this as a pointer, see above for info on Green Fiber testing. So I finally got around to buying some Green Fiber and doing a little testing. It’s still in their packaging (and still returnable) at a density of 9 lb/cu ft (which is probably a bit too high). In their in-wall blown application, they recommend 3.5 lb/cu ft which is slightly higher than OC 703 at 3.0 lb/cu ft and slightly less than Roxul at 4.0 lb/cu ct. Lowes had it on sale for $9.00 for a 19 lb package. At 3.5 lb/cu ft – that $1.65 per cu ft. Comparing with http://www.buyinsulationproductsstore.com, OC 703 3 – 4’x2’x4″ at $60.00 is $7.50 per cu ft or Roxul 3 – 4’x2’x4″ at $46.00 is $5.75 per cu ft. I tried to put about the same number of lbs of GF in roughly the location I was planning for treatments and I only considered corner and edge treatments. The tests vary from 0 packages (0 lbs) to 20 packages (380 lbs – 40 cu ft at 9 lb/cuf). If I use it at 3.5 lb/cu ft – that will expand the volume of the absorbers by a factor of 2.5 which should definitely increase absorption and it will end up being placed more in the corners and edges than I have it in the test (best I could do without repackaging). Not sure what the density change will do, but I guessing the lower density will probably actually help improve absorption. There also is another 266 lbs of GF for other treatments like Gobo’s and ceiling panels that are not represented by this test. I have a PDF with the info – but it’s not letting me attach – so I will just put in a few of the response charts. You can definitely see changes in response. The tails in the waterfall plots are definitely reduced as well as the peak dBs in the frequency responses. 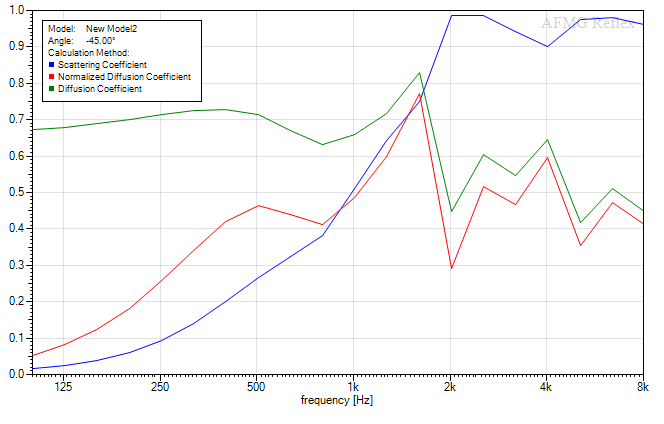 What I see that is perhaps a little unexpected is that it is making some nulls more pronounced – say around 90 Hz and 270 Hz. Not sure what’s going on there exactly – I do have a window in the room and a metal file cabinet as possible resonances and I haven’t done much to isolate whatever it is. Anyway – I’m assuming from this test that the GF behaves more or less like OC/mineral wool and that I’m going to keep this stuff and proceed with making some treatments. If you see anything in the responses that gives you cause for concern about using GF, I’d definitely be interested – I’m not going to do anything that would prevent a return for at least a few weeks. Assuming I proceed, I’ll eventually re-test with the actual treatments. FYI – room is roughly 15’x12’x8′. Hi Tim. Here is a picture of the back of my room with my DIY Safe n Sound bass traps. There is 12″ of air behind them. To the left is a closet door and then stairs going to the up stairs. Check my thinking. I was thinking of making diffuser shapes out of 1″x6″ pine that I would then attached to the bottom of each cubby hole, in back, that would then make the records the diffuser shape with the front of them. So the front surface of all the records in one cubby would have a diffuser shape. Am I making sense? Would that help? Hi Dennis. Diffusers made of records are a cool concept and an improvement over the random bookshelf diffusers some people use. Yes, you can scale them down proportionally to fit the 12″ wide cubby. This will shift the effective diffusion bandwidth up in frequency, but they should still be suitable. Leanfuser panels were designed to be outset to achieve variable-depth mounting, but people have tested inset versions and they perform well. Insetting them with variable depth is easier than outsetting, and since you already have the bookshelf, you’re all set to inset. By insetting them like this you’re effectively adding fins to the giant wells of the depth modulation, while the small wells of the individual panels remain finless. Thanks Tim. I’ll post pix of the build and results. Great. I look forward to seeing them, Dennis. Dennis, it sounds like you’re referring to the 7-panel profiled modulation, discarding the outside two panels. That should be fine but since your shelf diffuser would be the equivalent of 5 panels, the most reliable option is to use the validated 5-panel profiled modulation. I.e., the center panel not pushed back at all, and the outside panels pushed back the most. 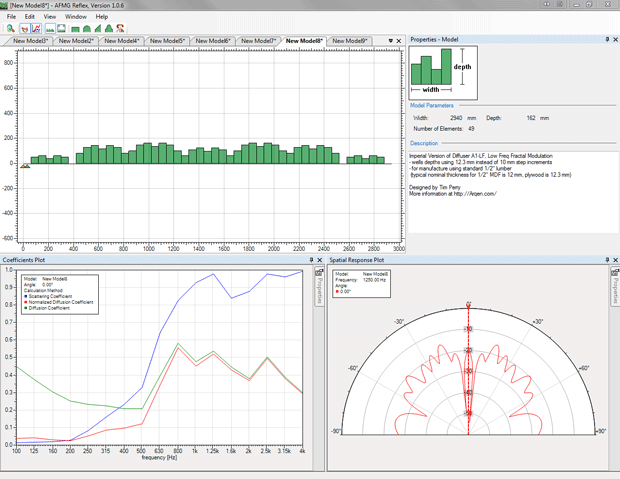 Measurement with Room EQ Wizard and a single microphone in a small room won’t tell you anything specific about the diffuser performance. 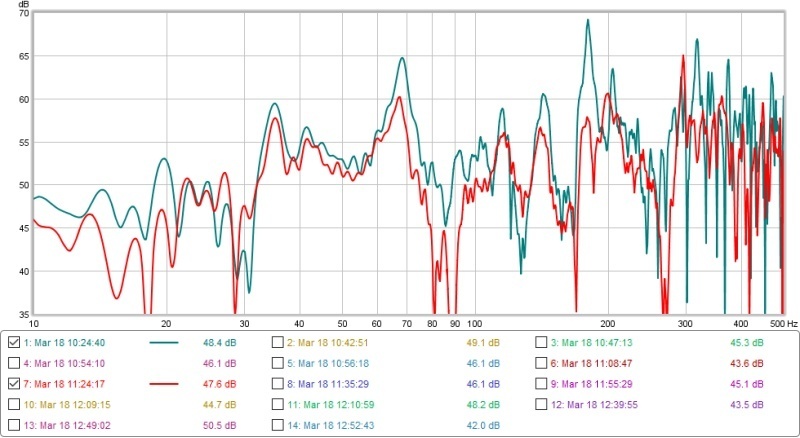 What you can measure is the overall trends in the room (like broadband decay times and frequency response), and changes in the character of the rear wall reflection. For the latter you’d ideally see a reduction in reflection amplitude on the ETC (Energy-Time Curve) and a reduction in comb filtering in the frequency response. However, it may be hard to isolate these results as the microphone will pick up all reflections in the room, not just the ones off the diffuser. Yes. It works like a difusor. But not focused on certain frequencies. But is better than flat surface. Just wanted to quickly thank you for your work and the resources you’re providing for free. Hakeem, I’m glad you appreciate and I hope it’s of value to you. Have a great summer and thanks for your kind words! first of all: thank you for sharing your designs. how the width of the panels affects the frecuency range of diffusion?, I mean, what if I build a diffuser with 50mm panels instead 60mm? what if, instead of the array you give in your drawings (420x600mm vertical rectangles) it would be squares with this array? does anything of this make any sense? Yes, you can do that. I know this because I’ve tested the performance using 60 mm as the width and 12 mm as the unit of depth, which has the same proportions as your 50:10 version. 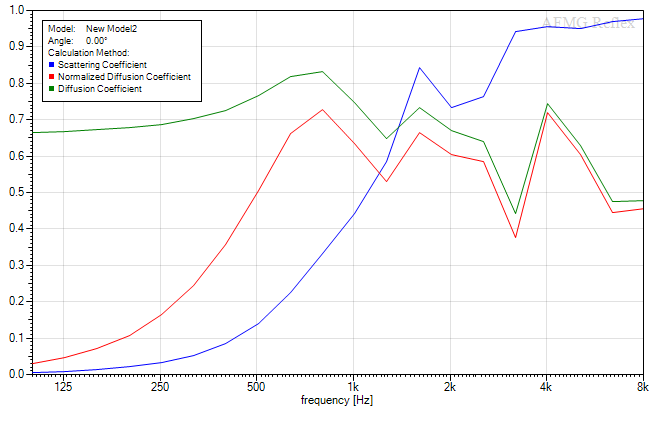 The main difference is that your diffusers will have diffusion coefficients shifted slightly up in frequency. 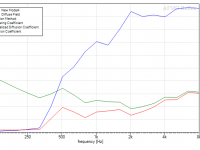 Low frequency performance will be a bit worse, high frequency performance should be a bit better. On the rear wall of a control room or listening room, I recommend 1-dimensional diffusers that are designed specifically to diffuse in one plane — the plane of listening. This is what my diffusers are designed to do. I have a small room (10’x24′) that I use for live sound and recording. I am redoing the little bit of acoustic treatment and want to add some diffusion as I have only had absorption and the natural reflection. I am adding some more bass traps, and overall want to get the room to sound larger, less muddy, with more even distribution of sounds throughout the room and less vocal mic feedback. Could I send you a couple of pics of my room to have you recommend which diffusers and where? discovered a true passion for painting on wood. Wood is an excellent medium. I am fascinated by your website. I would like your opinion on a treatment for my cabinet space.I have a old pair of planner speakers that are inserted into custom cabinets. In the past I have used 2″ foam behind the midrange planner. I’m now thinking a diffuser might be better. Any thoughts? I am really glad to have found this article here. Thanks a lot! First, from the analysis diagrams, does it mean that diffusers work best for larger rooms and higher frequencies in particular? and why is that? As you increase and change up the combination of the panels, the diffusion coefficient is actually decreasing till completely disappearing (Don’t I want this diffusion coefficient to go up?) and the scattering coefficient is not varying that much when it comes to lower frequencies but dramatically changing for higher frequencies, why is that? Human sound frequency usually ranges between 50 and 260 (males and female included) so now our voices frequencies lay in that area that does not see much variation in the scattering coefficient in the diagrams, so if I am designing an acoustics design for my design studio hall at university (I am an architecture student) would these diffusers not be my best option for the project? Second, why would sound absorption be a bad thing that I would need to avoid by using varnish and other counter measures (unless it’s an intended hybrid unit)? Isn’t sound absorption another way of controlling the acoustics is a room? Hi Tim. Thank you for these great information. I have a large auditorium room(20mx13mx5m) in my school and I need some diffusers and cloud absorbers. I want to build Leanfusers. I have some questions. 1. Due to economical restrictions, I may have to use chipboards. Do you have any experience on this? Or should I have to use solid wood? 2. If so, can I glue narrower parts to achieve the 420mm width? 3. Also, should I close the air gap from bottom and top? 4. I found wooden plates of 19mm in depth at local stores. Can I use them instead of 10mm depth? What differences would encounter in this scenario? Thank you for your time. I am hoping to send you the pictures when it is finished. 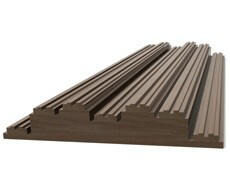 12-13 mm thick MDF is one of the most popular economical materials to build these with. The optional airgap is to make them lighter, and would ideally be filled with absorption (although this not strictly necessary). Best to close the top so dust does not get in and any absorptive fill does not shed fibers. I hope it goes well and I’d love to see any photos! Excellent article! What would you recommend for such a studio: W: 7,8m, H: 4m, L: 5.3m. Ceiling not absorptive, everything else more less is. The listening spot is cca 2 meters from the FW. I was thinking about a diffuser directly behind the listening position, 1m high, 2m wide (cca). Center of diffusor at 135 cm, distance from the listening position around 3 m. Thanks! Hi Perica. Glad you like it. That’s the perfect listening distance for a rear wall diffuser. I’d recommend a 7-panel array of the Leanfuser (A1-LF) or Leanfractal (A1-Frac), with the mounting depths offset according to profiled modulation / depth modulation #2. Thanks for this article and I think I will try building some diffusers. 1. Where should I place them? 2. Can I use them on the ceiling? 3. I already have absorbers & bass traps. How do I find the balance between absorbers and diffusers? 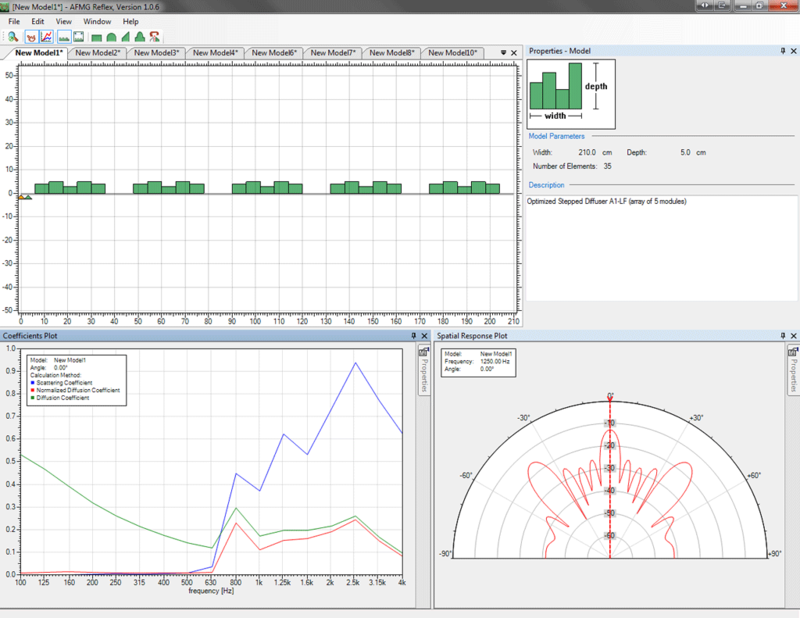 nning a renovation and your project gives me option about our future acoustic interrior candidate. I’m curios, whether installing the A1cLF in potrait or landscape postion would change the result? Or may I combine both potrait and landscape? What a serious nice webpage. Thanks for sharing. As an almost newbie, on this level of this genuine approach, I find it quite difficult to chose a solution among all the possibilities. I have a pair dipole Martin Logans, and having NO limitation, when it comes to placement of speaker, listening position, and room treatment. (besides a rather tight budget). I’m aware, that the rear and front wall need some absorb as well as diffus. Anybody with some thoughts or advice, what to build? Many thanks in advance. Nb. Please bear, English is not my native language. I was attracted to your site because I’m a woodworker and love your designs. I think I can build them but want to know if it even makes sense and if I will hear a difference. I’m looking at putting them in a dedicated basement Home Theater, 15′ x 25′ with 9′ ceilings. Floor will be carpet, walls will be drywall with paint. Your thoughts on building these and putting them on the walls of the room? What kind of audible results can I anticipate? I’ve read Cox’s Acoustic Absorbers and Diffusers (2nd addition) and am aware that he says that ” precidence has shown that it is best if the listener is at least three wavelengths (of the minimum diffusion frequency) away from diffusers… in some situations the distance may need to be compromised”. However, in Master Handbook of Acoustics (6th edition), the chapter on control rooms talks about putting an array of RPG Diffractals on the rear wall of a room that if drawn to scale would appear to be about 16 ft from front wall to diffuser face with the listener about 6 feet in front of the diffuser. It says “Diffusers with low frequency response to 100 Hz would certainly address most potential modal problems in the room”. They also show an echo gram of “similarly-designed control rooms” with and without rear-wall diffusers (D’Antonio 1984)”. In another part of the chapter they refer putting a 10 foot wide 3 ft deep floor to ceiling diffuser on the rear wall as an alternative to using absorption for modal resonances. 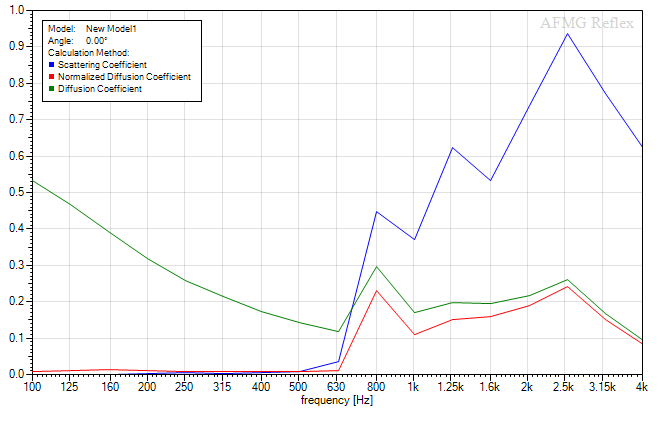 They show a waterfall chart where the resonances have “more equal” amplitudes and decay rate providing about an RT60 of 0.4 sec (probably due to disrupting LF comb-filtering from the rear wall). A 100 Hz diffuser would require 33 ft distance to the listener to get 3 wavelengths so even if the scale is a little off, these control rooms don’t seem to be anywhere near this large. At the 6 feet distance depicted, they are at about 1/2 a wavelength. So there seems to be a bit of a question about what in practice you can get away with. My thinking is that with a small room you are already in modal hell below say 250 Hz and the having very near field diffusion to 100 Hz and scattering to perhaps 50 Hz is still beneficial even if the sound field is not fully diffuse and perhaps preferable to absorption. I’ve been rethinking my room design based on this. I have a 15’5″ foot room (which includes a 33″ deep x 11 ‘ wide closet at the rear). My listening position is about 6 feet off the front wall. I determined I could get a DIY 3-stage QRD diffuser (think RPQ Diffractal) with a LF diffusion frequency of 141 Hz if I take the whole depth of the closet. This would put me 6 feet in front of that diffuser. However, stepped diffusers like your designs should get equivalent results with less depth. 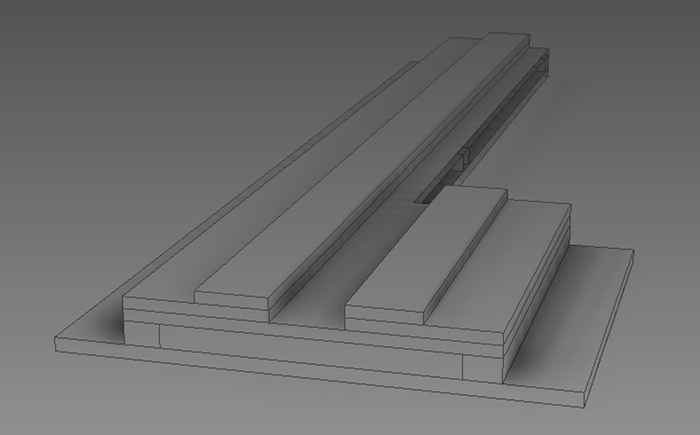 I laid out your deep modulation design using your exact sizes (2nd stage with 60 mm well width and 50mm max step height). The design just happens to be exactly the width I want (60mm x7x7 = 2940 mm or 115.7″ inches – I was look for 116 ideally!). and it is only about 18.2 inches deep. So in theory, if I don’t put anything behind it (like additional membrane resonators, I could be as much as about 8 ft in front of the diffuser. I don’t have splayed walls, I am using absorption at the front of the room for primary reflections (front, side, and ceiling) and would have flutter QRDs on the rear side walls and ceiling. I can send you some more details on the room layout or the diffuser fabrication if its of interest. I’m about to down load Reflex to look at these alternatives (on their 30 day trial), but I was wondering if you’ve already looked at a full scale deep-modulation design with Reflex. I didn’t see it in your docs that I looked through. In particular, what is the lowest diffusion frequency. Another would be how low would it go with say deeper stage 3 wells (keeping same well width) up to say my 33″ limit (I’ll probably look at this anyway with Reflex myself). Any thoughts on the above thinking and whether a LF diffuser (100 Hz?) would obviate the need for a lot of other bass traps in the room. What would happen if you mounted several of the Leanfusers on a rear wall that has a 6″ point at center? In other words; the wall have been designed with a soft “V” coming out from the wall and spreads out about 8ft in each direction to the corners. Where it connects back with the wall. Similar to picture above.. Thank you for sheering your work and knowledge with people. Our recording room is a closet 3x5x8 feet, is the best we could found, we wanted to ask you , is there a way to improve the acoustics of it? a diffuser or another acoustic treatment specially for the ceiling, if you could recommend something lt would be great, thanks a lot! I very interrest to made a diffuser. Could you tell me what the minimum distance between the diffuser and the source sound to have no disturb. Do you think i’ts a good idea ? Thanks for your help and you do a great job ! 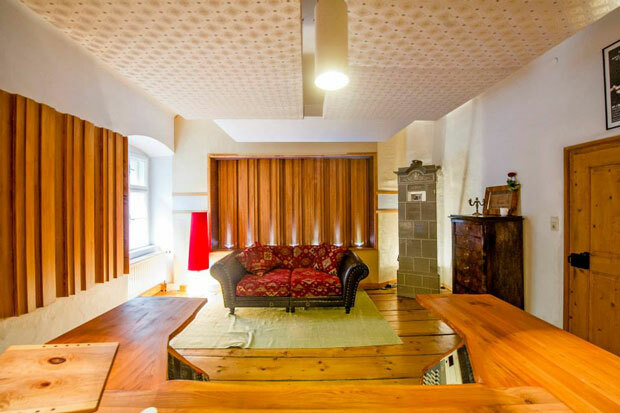 Excellent, Please What would you recommend for such a studio: L: 5.3m W: 3.6m, H: 2.6m? Thanks. If you need help with your room acoustics, click here to get in touch with Tim. Tim Perry is Arqen’s acoustical designer. He also offers room treatment consulting and studio design. Tim studied acoustics and audio at the University of Victoria, while majoring in electrical engineering. He has worked with brilliant musicians including JUNO-winning pianist Hilario Duran. How to Build Diffusers and Treat Your Room? Free blueprints for DIY diffusers (multiple designs). Optimized designs you won't find anywhere else. Learn the 3 Golden Rules for treating your room.